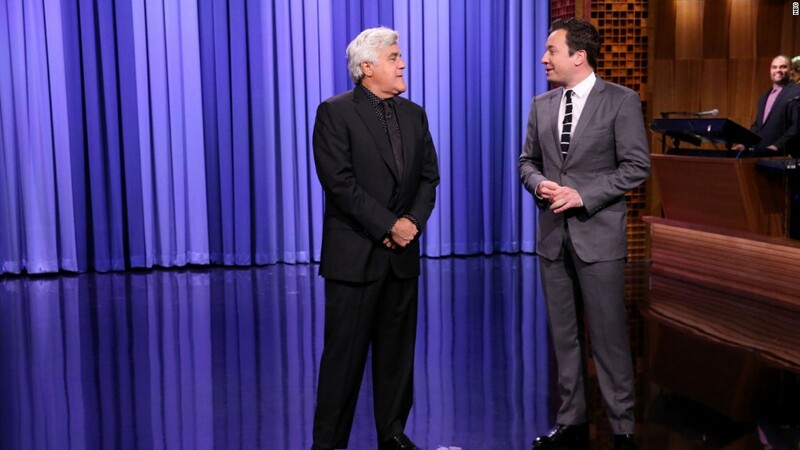 "Tonight Show" viewers were treated to a blast from the past on Tuesday when Jay Leno made a surprise appearance. Leno, the man who hosted "The Tonight Show" for decades, took over for Jimmy Fallon after the oft-injured host pretended to be hurt during the show's opening monologue. "Oh, I think I pulled a hammy on that last one," said Fallon. "I don't think I can continue, but of course here at 'The Tonight Show' the monologue has to go on." Fallon then tagged in Leno to big cheers from the audience. Leno, who was making his first appearance on the show since November 2014, rattled off jokes about Donald Trump, Obamacare, Bernie Sanders and the economy. "The economy is so bad in California, parents in Beverly Hills are being forced to raise their own children," Leno said. After a few more jokes, Fallon jumped back in to finish the monologue. This won't be Leno's only appearance on television this week. 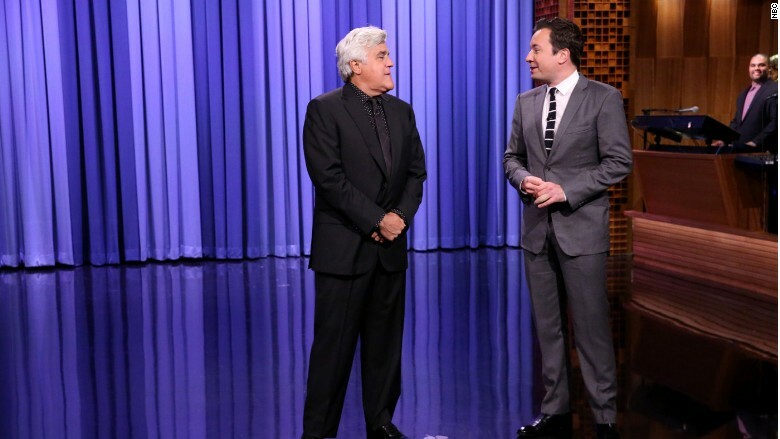 The long-time host's new show, "Jay Leno's Garage," will debut Wednesday on NBC sister network CNBC. Fallon asked Leno on Tuesday if he'd liked to stick around for the rest of the show, but Leno had other plans. "You know, I can't," Leno told Fallon. "I'm lead guest on Colbert."